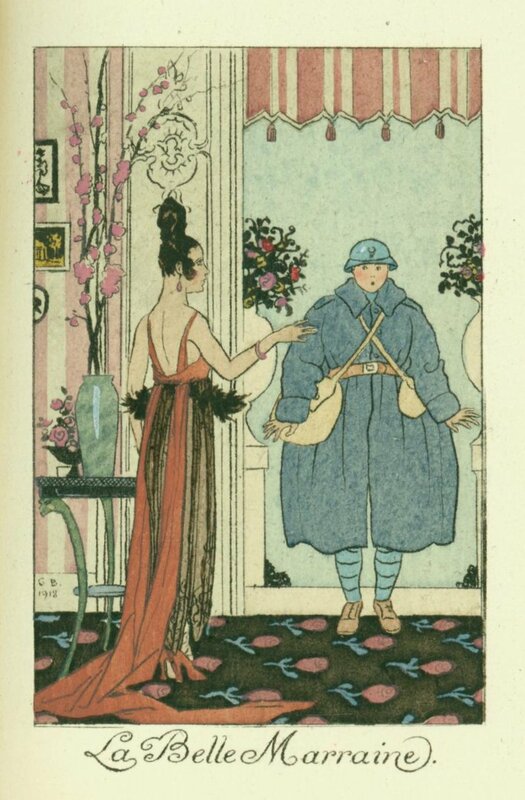 Renowned illustrator, costume designer and Art Deco stylist George Barbier was 32 in 1914 when war broke out in Europe. Although little is known about his personal biography, it stands to reason that he would have been drafted to defend France against German encroachment. If he was at the front, it didn’t prevent him from continuing to work as an illustrator. 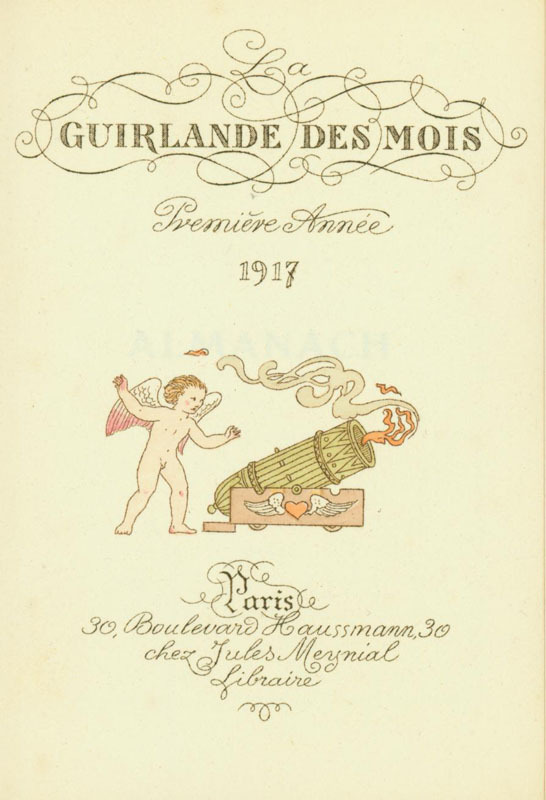 La Guirlande des Mois, 1917, title page. 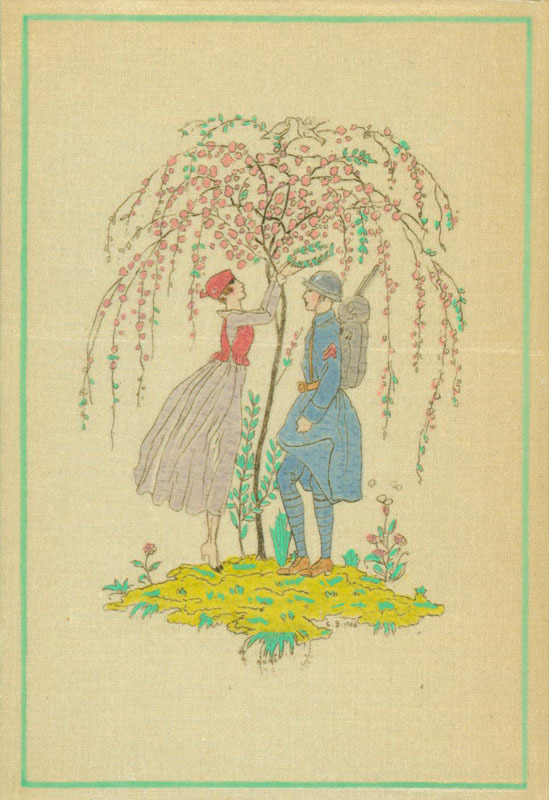 to the amorous soldiers home on leave who decorate several of the books’ silk-covered boards and their interior pages. 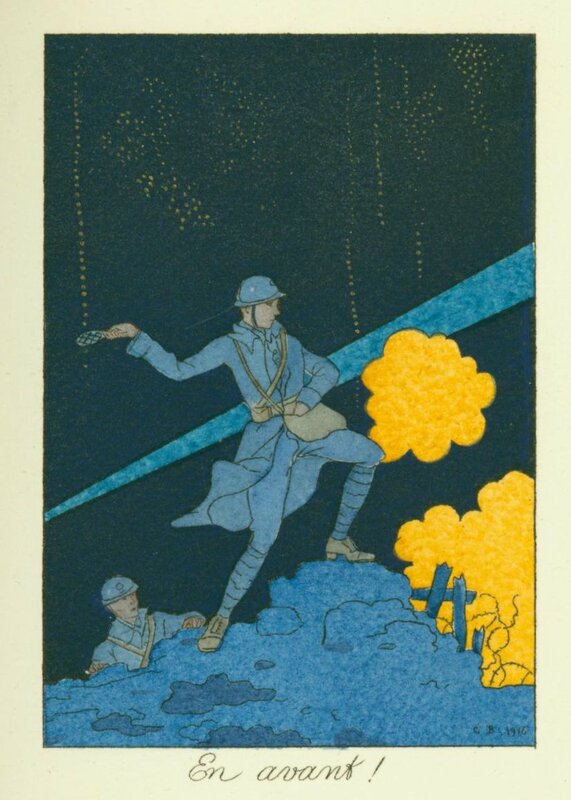 La Guirlande des Mois, 1917, cover illustration. The Guirlande almanacs were light, convivial affairs printed to satisfy the vogue for finely printed, fashionable books. Filled with calendars, musical scores, articles and fiction by noted cultural figures, they evoke a privileged world of elegant splendor. 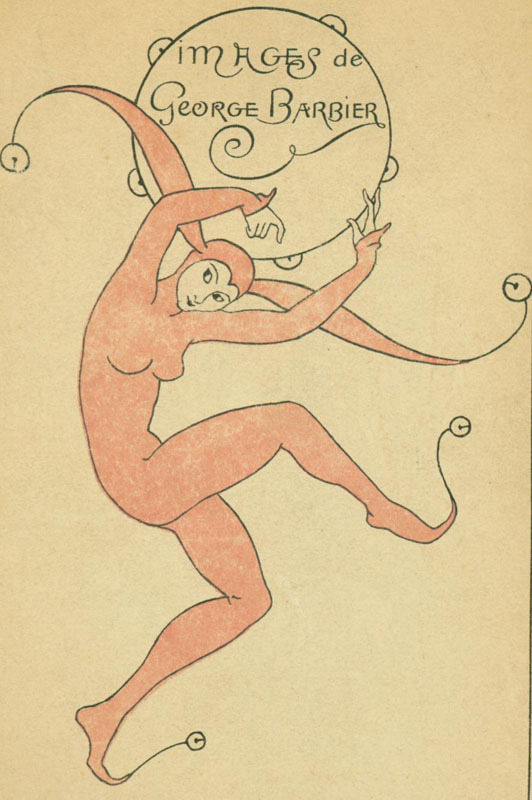 "Les Ballets Russes," Illustration by George Barbier for La Guirlande des Mois, 1919. 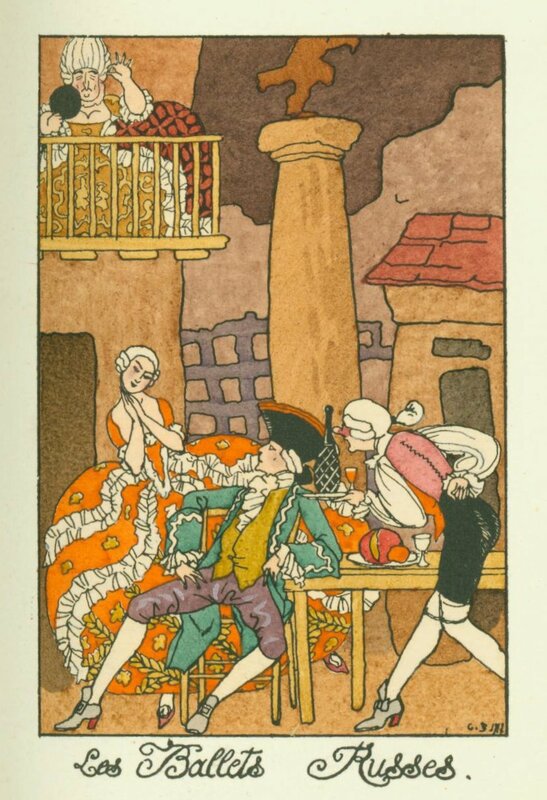 "L'indiscret Recompense," illustration by George Barbier for La Guirlande des Mois, 1919. 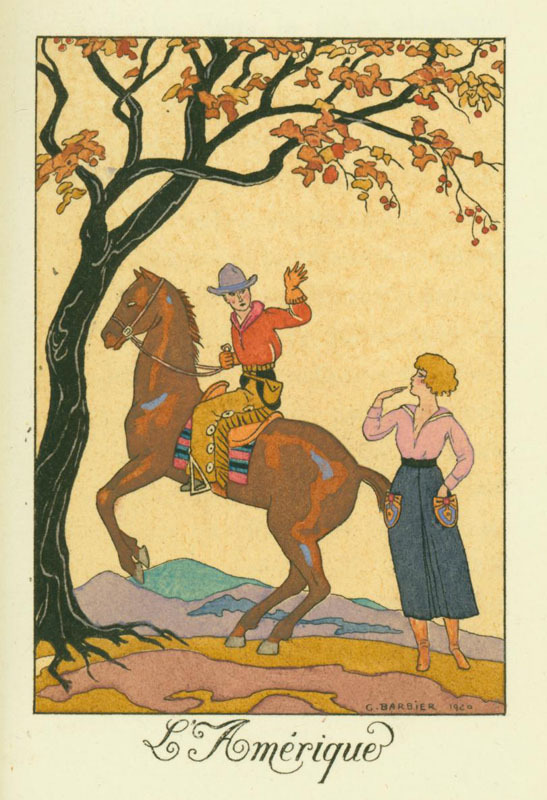 "L'Amerique," illustration by George Barbier for La Guirlande des Mois, 1921. Barbier died in 1932 at the age of 50, still at the height of his powers. Soon after his death, the Second World War effaced his memory and his work has largely been the domain of dealers and collectors of art deco graphics. That may be changing. Just clast year, “George Barbier: The Birth of Art Deco” at the Fortuny Museum in Venice provided a long overdue reconsideration of his career.